New edition presented in the standard hardcover graphic novel format but with a new cover and featuring a yellow paper stock. 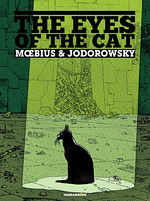 The very first graphic storytelling collaboration between two masters of the medium, Alexandro Jodorowsky and Moebius. Alexandro Jodorowsky and Moebius, creators of the Sci-Fi classic "The Incal," initially teamed up on this 1978 gem, where words and images alternate in mesmerizing fashion. 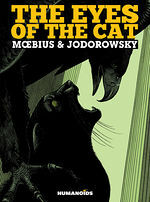 Moebius transforms Jodorowsky’s work from a poem you read, to a poem you watch.